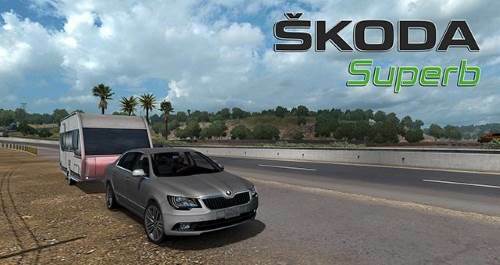 This mod adds Skoda Superb to American Truck Simulator. – You can buy the Skoda Superb in Peterbilt or Kenworth dealers. – Police paintjobs and accessories available. – This car made by TruckersMP developers. – Now compatible with ATS 1.33 update. – Changed horn and siren sounds.